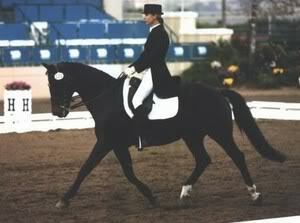 Owner and trainer, Pam Stone, began to focus exclusively on dressage in 1991 after 'doing a little bit of everything else' beforehand and immersed herself completely into the sport. For 8 years she was in full-training with USET WEG Team Member, Marie Meyers, in Moorpark, CA, where she competed successfully on the regional circuit and championships at such venues as Del Mar, Showpark, and the Los Angeles Equestrian Center on a succession of horses. Prior to moving to her own facility in late 1999, Pam spent a further year and a half in full-training with Pan Am Gold medalist and World Cup competitor, Jan Ebeling, schooling Grand Prix and competing through Intermediare with her horse, Escada. Both a USDF Bronze and Silver medalist, Pam remains tremendously grateful for the educational opportunities she had with both Marie and Jan, particularly the chance to ride in clinics with former Dutch Chef d'Equipe, Bert Rutten, and auditing her trainers as they rode with the legendary Dr Reiner Klimke, Klaus Balkenhol, Kyra Kyrkland and Harry Boldt. 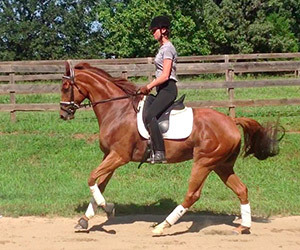 Pam continues her dressage education today by regularly riding in clinics with international trainers, and is always looking to expand her experience. 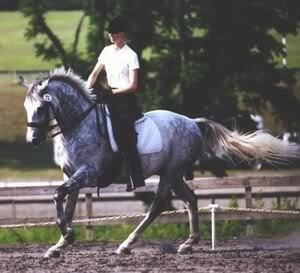 "I'm addicted to dressage theory and its application. I can never learn enough!" says Pam, adding her own philosophy is borrowed from Olympic Gold medalist, Klaus Balkenhol: "There is no 'Classical' dressage or 'Competitive' dressage. There is only correct riding." At her own barn and in the clinics she teaches, Pam says she does her best to employ a correct, methodical, and fair approach to every horse and to welcome every combination that comes her way." If you want to rush out and win ribbons and aren't all that interested in following the Training Scale, I'm not the trainer for you." she says. "But it you're dedicated and have a hunger to improve not just for ambition but for the sake of your horse, then I'd be delighted to work with you." And those without expensive warmbloods needn't feel intimidated. "I know exactly how it feels to have a 'back-yard' horse and be scraping up the funds needed for a lesson. I've been there, and it's important for me to let riders know that my approach and attention are the same for everyone~ and I never talk on the phone during a lesson!" In her free time, Pam enjoys spending time with her partner, Paul Zimmerman, their terriers, Bonnie and Rosie, as well as writing a regular column for "Dressage Today" magazine.